Somebody, cue the Village People! And the United States Navy is doing just that, taking a stand for LGBTQ sailors by naming its next ship for slain San Francisco politician and gay rights activist Harvey Milk. Milk served in the Navy and came from a Navy family. He was commissioned in the service in 1951. 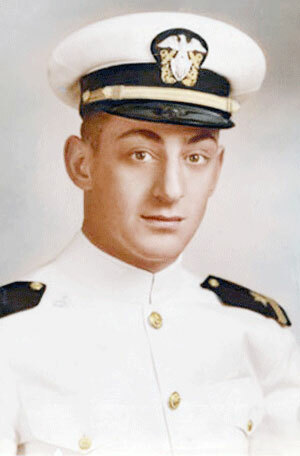 Milk served as a diving officer in San Diego during the Korean War on the submarine rescue ship Kittiwake until 1955. Milk was honorably discharged from the service as a lieutenant junior grade. Navy Secretary Ray Mabus, indicated in a July 14 memo he intended to name a planned Military Sealift Command fleet oiler the USNS Harvey Milk (T-AO-206). And strange as it may seem, Milk is not the first civil rights leader to be so honored. The ship would actually be the second of the John Lewis-class oilers being built by General Dynamics NASSCO in San Diego, Calif. Yes, that John Lewis, the Georgia congressman who marched with Martin Luther King and still serves in the House. Other ships will be named for late Supreme Court Chief Justice Earl Warren, whose court ruled to desegregate U.S. schools, Attorney General Robert F. Kennedy, women’s right activist Lucy Stone and abolitionist and women’s rights activist Sojourner Truth.